Professional chefs are the most demanding users of kitchen tools. They count on products that enable them to do their best-day in and day out-with speed, precision and ease. That's why chefs all around the world have made Mundial their top choice for professional-grade knives and accessories. Mundial knives are NSF approved, ensuring that they meet all foodservice industry standards for sanitation. 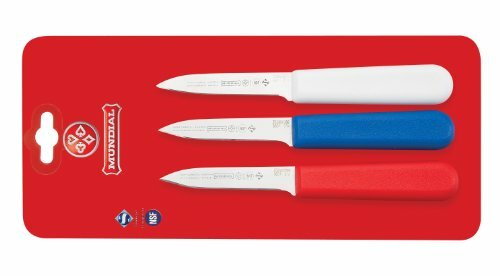 Mundial 5600 Series knives and accessories now have Sanitized Antimicrobial Protection, which is the safe treatment of the polypropylene handles to guard against the growth of bacteria, yeast, mold and fungi.